Most of us aren’t experts on the subject matter of HVAC systems. In our minds, a commercial HVAC system is more or less just like a bigger version of what we have at home. This isn’t terribly far from the truth, the concepts are the same and the machinery is similar, but the same preventative maintenance that you may take with your home machine doesn’t quite apply when you are talking about an HVAC unit that covers the needs of a hundred thousands square feet. 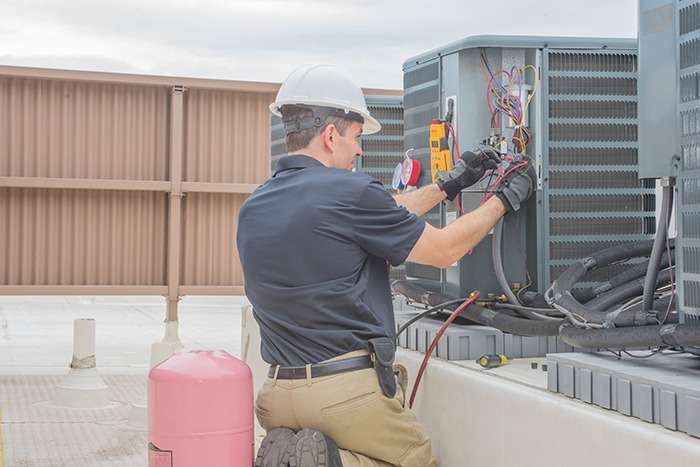 That’s why this handy guide is here for you to understand the types of problems your commercial HVAC system may have and best yearly maintenance practices so you can prevent major and costly HVAC repairs. Most people’s interactions with their HVAC system is only through the thermostat, the unit’s main control component. The good news is that most problems with residential or commercial HVAC systems come from this unit and that fixing them can be relatively inexpensive as compared to other issues. Repairing the thermostat is a quick job, but you can also keep it in good shape by ensuring it is buffered against power surges and running diagnostics on it if your model is equipped with such features. Refrigerant is what cools the air and if your unit is blowing warm air then this may be one of the problems. A lack of refrigerant also causes your commercial HVAC system to work harder resulting in higher utility bills. As part of regular maintenance, you’ll want to be sure that refrigerant levels are checked so that any leaks can be discovered. Likewise, be sure to check furnace solutions to prevent heating issues. HVAC systems not only regulate temperature but also clean and filter the air. Over time, they will get clogged with dirt and debris. This also causes reduced efficiency and can be a greater strain on your unit’s motor. Depending on your system, this may be an easy fix that you or a staff can do, or it may require you to call a technician. 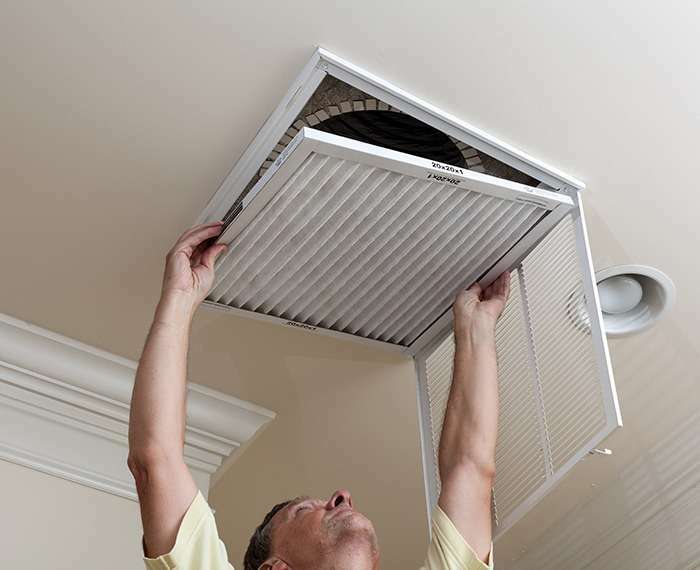 Be sure that there is no blocked air flow in the ducts from broken fans or any other obstructions. There are a wide variety of electrical issues that may occur from simply blown fuses to more complicated problems. During installation, this is a good time to upgrade your electrical system to ensure that it can handle the load. It may be an added expense, but it can prevent damage to your commercial HVAC system along with other electrical items in your office space. There you have it. These are the key things to keep track of to make sure your commercial HVAC unit is running smoothly. 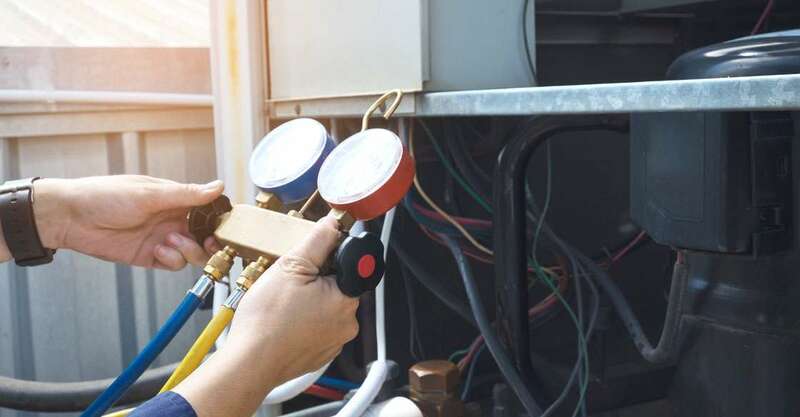 Most of these things, you will want to a qualified expert to examine at least twice a year, particularly before summer or winter months where you will not want to be waiting weeks for things like AC or heating repairs. Contact our commercial services team so they can help you be prepared for whatever weather mother nature throws your way.